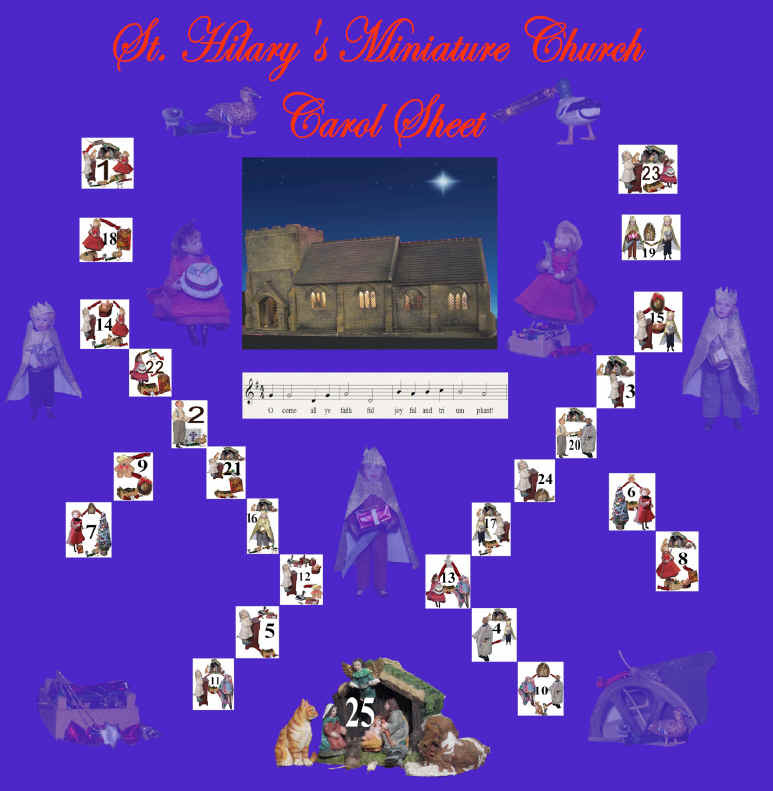 St. Hilary's congregation and clergy have had fun putting this carol leaflet together for you and using it for this year's Advent Calendar. They have loved creating the illustrated capital letters for each of the Advent and Christmas carols they have all chosen for inclusion. Each day of December a new day will become available..........simply click on the illustrated letter with the date on and the carol with a photograph will open in a new window......enjoy............!